Your Council has been busy. 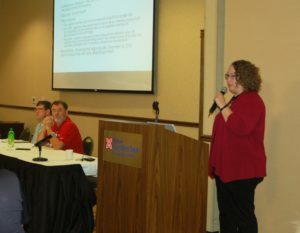 Council members hit the new year running with presentation to groups in Wisconsin and Iowa all in the past few weeks. 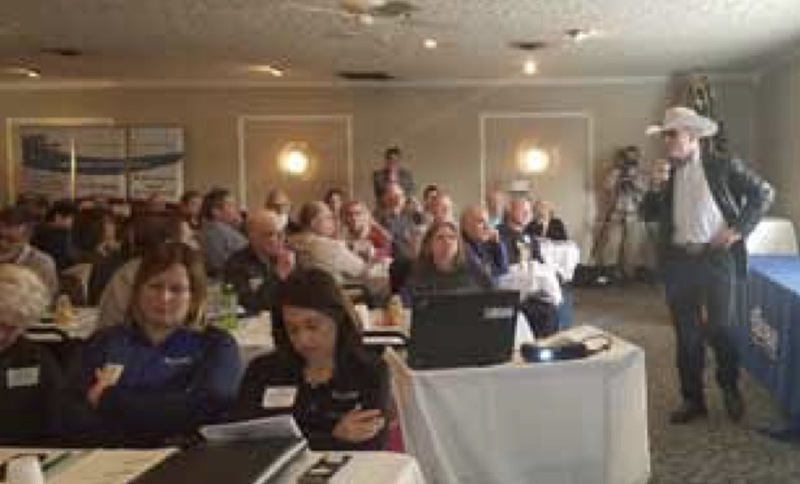 On January 9 Brad Guse, Senor VP with BMO Harris in Arpin, WI was joined by BMO Managing Director Sam Miller, Appleton WI at a special program, Supporting Farmers During Challenging Times held in Kiel, WI. 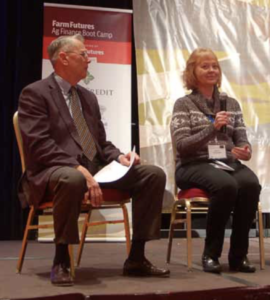 The program was sponsored by the University of Wisconsin Extension. 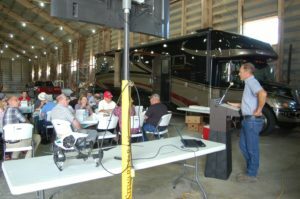 An audience of well over 100 came from a four-county region to hear the presentations. 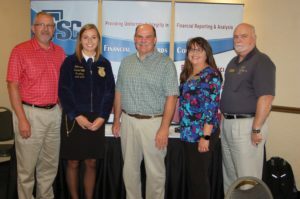 The two discussed the critical need for helping farmers realize the importance of organizing their financial records and being completely open and honest in their relationship with their lender. 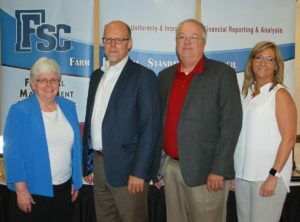 Council Administrator Carroll Merry attended and managed the FFSC trade show display. He also gave the audience an overview of the Council and the resources it has to offer. heavy lifting in terms of presentations at the gathering. Again, the need for good financial record keeping was stressed along with the need to maintain completely open lines of communications with lenders. 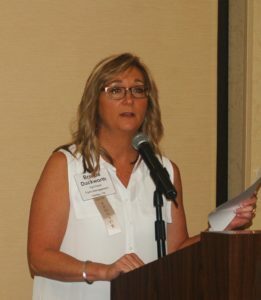 Administrator Carroll Merry also talked about the evolution of the Council and the resources it offers. 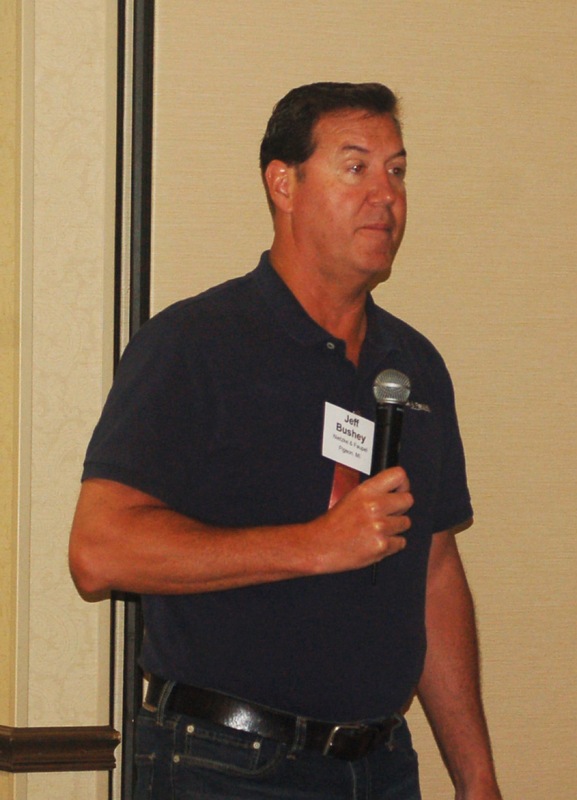 Council Vice President Keith Raynor, principle at TRP CPAs, Dunn, NC is wrapping up details on the program for the Annual Conference which will be held July 24 – 26 at the DoubleTree by Hilton, Raleigh Durham Airport at Research Triangle Park near Durham, NC. 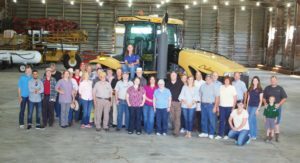 Keith’s program will include an up close look at NC agriculture, how anti-animal agriculture groups are working to get rid of the pork industry, as well as a ‘deep dive’ into some accounting issues that are important to the Council….AND MORE! Details on the entire program will be coming out very soon, but in the meantime please mark your calendars and plan on attending. Yes, many of us are snow-covered now and somehow getting along with very frigid temperatures, but Keith promises there will be no snow in sight when we are there in July and it should be too early for hurricane season. The most current listing of Council Members is in the membership directory that accompanied the email version of this newsletter.. We dropped a few members last summer at renewal time and that was expected….but we have added many new names, so look through the Directory and see if any of our new colleagues are near you. If you don’t have a copy, let us know and we’ll send you one. We have included the roster of our Corporate Partners in a listing at the back of the Directory as well as the names of our new Imeritus Lifetime members. 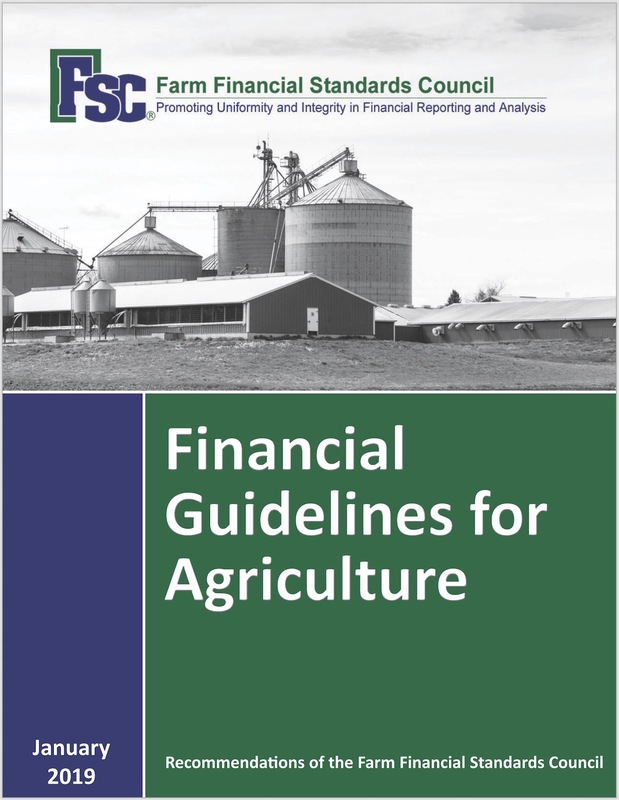 An updated version of the Financial Guidelines for Agriculture was sent to you on January 1. If you did not receive your pdf copy, please let me know and we’ll try to find out why. 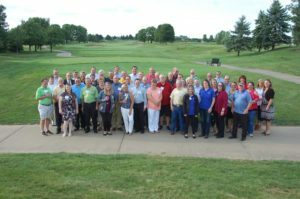 One of the keys to attracting new, and even retaining current members, is the sharing of your thoughts regarding your experience/relationship with the Council…we are always looking for comments from members that can be used to promote membership. Have you met colleagues from across the country? Found participation in one of the committees to be rewarding personally and/or professionally? And if you have a complaint or other concern that should be shared with the leadership, we want those as well!! More than 100 producers from across the United States (and one from Canada) joined us for our Farm Futures Boot Camp event in Coralville, Iowa. Former FFSC President Paul Neiffer, a principal with CliftonLarsonAllen, LLP kicks off a day of presentations at the Farm Futures Boot Camp January 23 in Coralville, IA. 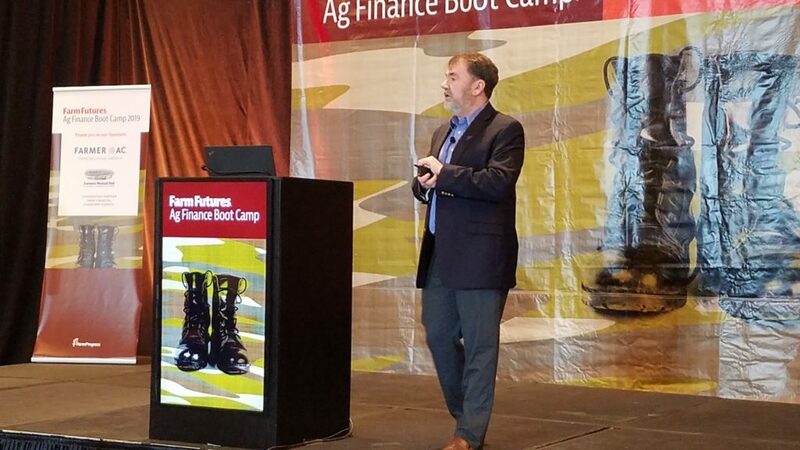 FarmerMac EVP Curt Covington addresses the Farm Futures Boot Camp in Coralville, IA. He focused his presentation on the importance of benchmarking and the role of recordkeeping citing the resources and examples that are available through the Farm Financial Standards Council. This is the first Board Notes we’ve sent since March, so you have not been missing issues, we’ve just not been preparing and sending any. With all the activity going on with the summer meeting, membership renewals, etc., it’s been hectic. Todd Doehring, second from left, heads up the new FFSC leadership team elected at the Council’s annual meeting held July 27 in Champaign, IL. Doehring is a director with Centrec Consulting Group, Savoy, IL. 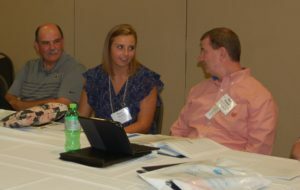 Other members of the leadership group are, from left: Jan Bitter, Immediate Past president, vice president at Farm Credit East, Homer, NY; Keith Raynor, Vice President, principal with TRP CPAs, Dunn, NC; and, Brenda Duckworth, Secretary/Treasurer, farm staff accountant with AgriVision Farm Management, Hartley, TX. Board members elected at the meeting are: Jonathan Shepherd, University of Kentucky; Bill Rutter, MidAtlantic Farm Credit, Westminster, MD; Deena Brown, CGB Agri Finance Services, Louisville, KY; Angela Chesley, Van Bruggen/Vande Vegle, PC, Rock Valley, IA; Kathy Reinhardt, Reinhardt Farms, Seaton, IL; and, Lyle Anderson, Rabo AgriFinance, Billings, MT. New FFSC President Todd Doehring presents a special commemorative president’s gavel to Outgoing President Jan Bitter. 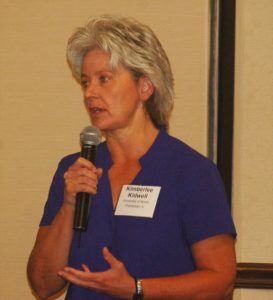 Prior to being elected Council President in 2017, Bitter served as Vice President and Secretary/Treasurer of the Council as well as on numerous committees. As Vice President she chaired the 2017 Annual Conference which was held in Syracuse, NY. The new Council Membership Directory will be coming to you very shortly. This will be updated with the current membership roster and complete contact information on the new leadership group. We are awaiting photos of some of the officers, committee members and directors and will then get it out to all. It’s always great to know who you are communicating with and an easy way to make that happen with your Council Colleagues is to send us a head-and-shoulders photo of yourself and we’ll add it to the directory. Color jpgs work best, of course. Just send along something you have — does not have to be formal or in a business suit or dress. Will need by Friday, Sept. 7 to make this edition. 250-ppi jpgs are just fine. Please…no low-rez…you will NOT like the way you look. 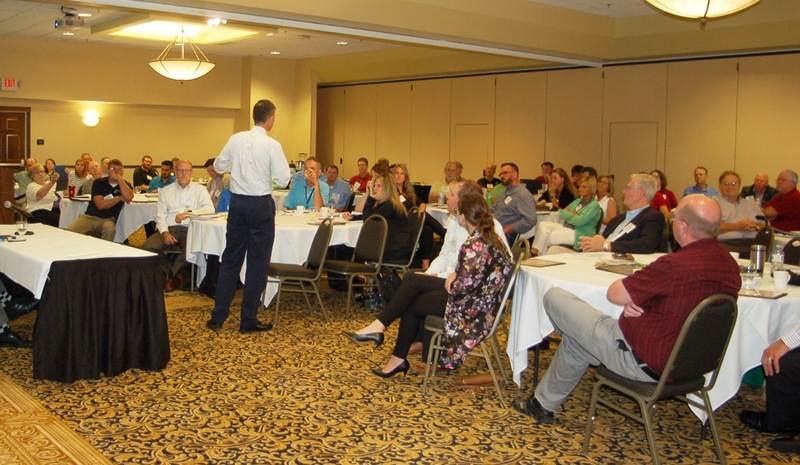 One of the keys to attracting new, and even retaining current members, is the sharing of your thoughts regarding your experience/relationship with the Council…we are always looking for comments from members that can be used to promote membership. 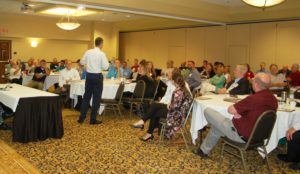 Have you met colleagues from across the country? Found participation in one of the committees to be rewarding personally and/or professionally? And if you have a complaint or other concern that should be shared with the leadership we want those as well!! Are you Actively Involved with the Council? 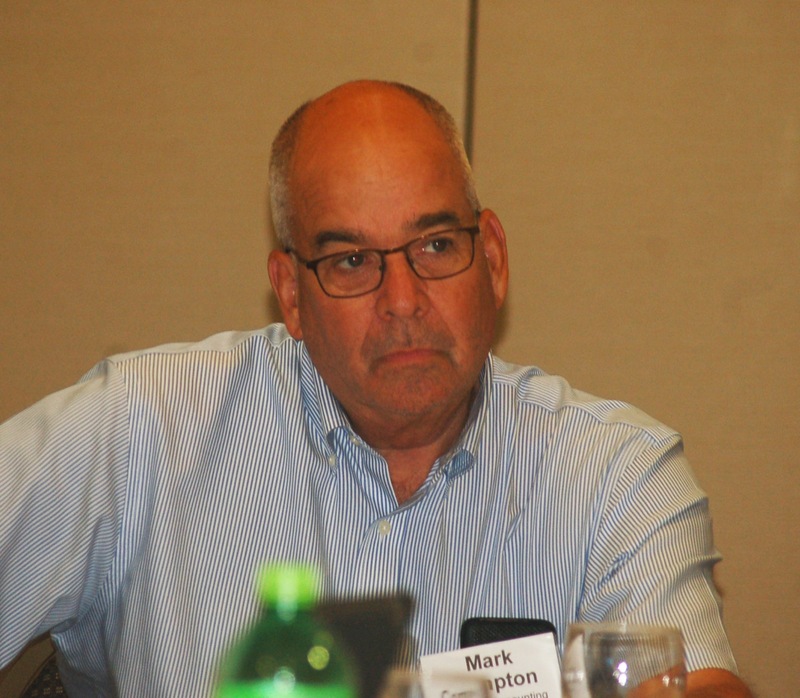 When we discussed changing the dues at the Council last year there was concern about membership retention….would the dues get to be too high? What benefits of membership could we offer that would make people really want to stay members of the Council? Our experience has been that those who are actively involved with the happenings of the Council take on an ownership role with the organization. They are not just sitting back and waiting for something to happen….they are MAKING things happen and they develop an enthusiasm that becomes contagious. Mark your calendars now for the 2019 FFSC Annual Meeting. 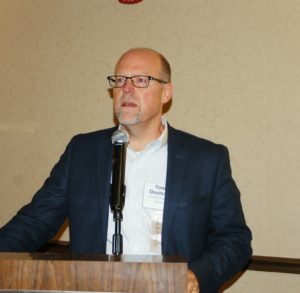 It will be held July 24 – 26 at the DoubleTree by Hilton, Raleigh Durham Airport at Research Triangle Park near Durham, NC. 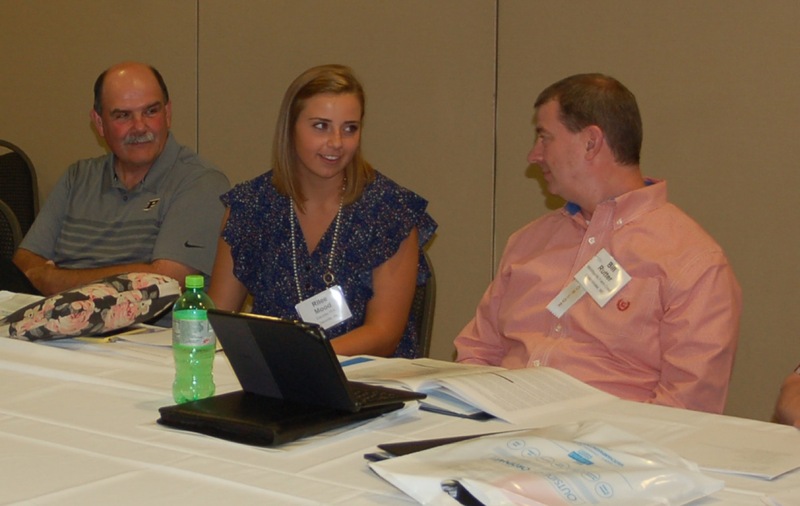 Going to the ABA Ag Bankers Conference? This will be in Omaha November 11 – 14 and the Council will be there. 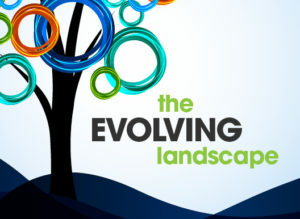 If you are attending, stop by our booth in the Exhibit Hall and say ‘hi.’ More information on the conference and registration is on the Council Web site. Watch for your new directory (Send us your photo today!! ), and don’t be a stranger… stay in touch and let us know how the Council is a part, however small, of your professional life……. 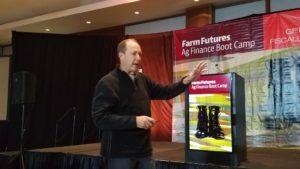 (Menomonee Falls, WI — November 1, 2017) Never have the financial stakes been higher in agriculture, yet few producers have the accounting training to effectively monitor and control their expanding operations. 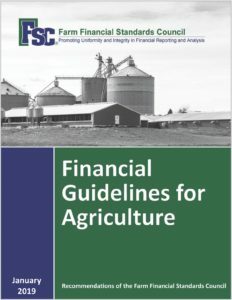 In direct response to the Farm Crisis of the ‘80s the Farm Financial Standards Council (the Council) developed its Financial Guidelines for Agriculture. This document is designed to assist in developing sound financial statements on agricultural operations. However, direct adoption of the Guidelines by farmers has been hampered by two obstacles – understanding financial terms and not being accountants. Download our free implementation guide for better financial decision-making. For that reason the Council has developed and now released a 17-page Implementation Guide to assist non-accounting individuals in developing sound financial reports. It is available free of charge and is designed to be used in tandem with the Financial Guidelines and Management Accounting Guidelines documents available through the Council. This is according to Jeff Bushey, CPA, a managing partner with Nietzke & Faupel, PC, an accounting firm in Pigeon, MI. 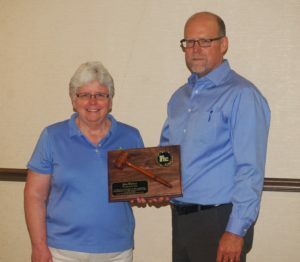 As chair and a long-time member of the Technical Committee for the Council., he and fellow committee members are charged with keeping the Guidelines documents current and publishing revisions to them when deemed necessary. This is compounded by a second obstacle: farmers and ranchers are great producers but generally are not accountants. “In a cost-versus-benefit framework, the cost is often considered too high to fully implement the Guidelines,” Bushey says. “The new Implementation Guide is a simple way to learn how to use the Financial Guidelines. It’s written for a farmer using everyday terms,” Bushey explains. “The Financial Guidelines explain how to produce useful financial information. 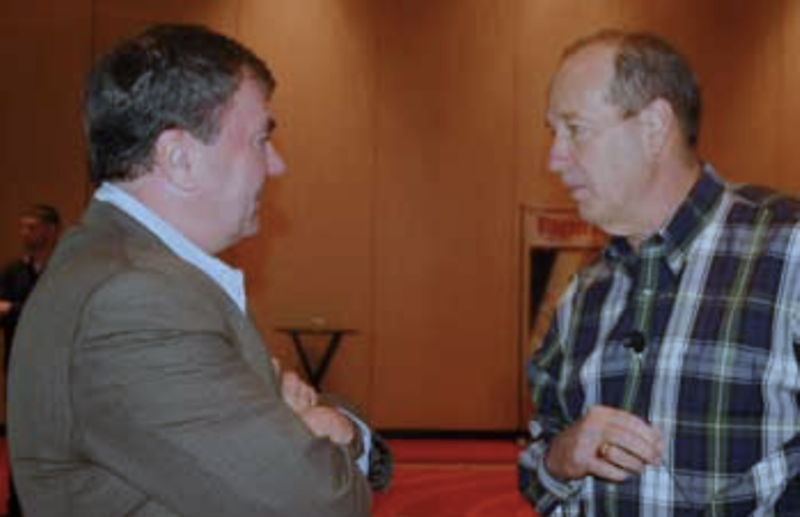 The Implementation Guide is a road map of how to get there.”This publication leads non-accountants in an abbreviated implementation of the Guidelines by applying a checklist approach and discussion of implementation issues. This checklist enables users to assess the information needed at the various stages of implementation and the benefits and costs associated with moving to each successive stage. “The Implementation Guide suggests that producers don’t have to go all-in to benefit from partially implementing the fundamental financial reporting concepts discussed in the Financial Guidelines and that the recommendations are likely to be implemented in stages,” notes retired Purdue University Extension Specialist and CPA Alan Miller. 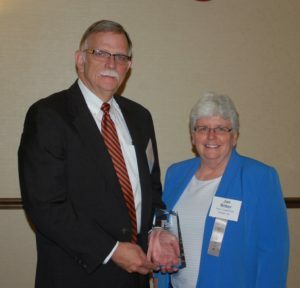 He is also a long-time member of the Council’s Technical Committee. He explains that as in any do-it-yourself project, a level of commitment will be required to achieve meaningful results. These commitments will often require changes in daily, or at minimum weekly, operating procedures. “Family members and employees must also be committed to the timeliness, accuracy and discipline in gathering information and coding transactions to lay the groundwork for improved financial control and decisions,” Miller explains. “A fundamental concept of financial reporting is that accounting period profitability can only be measured accurately on an accrual basis. 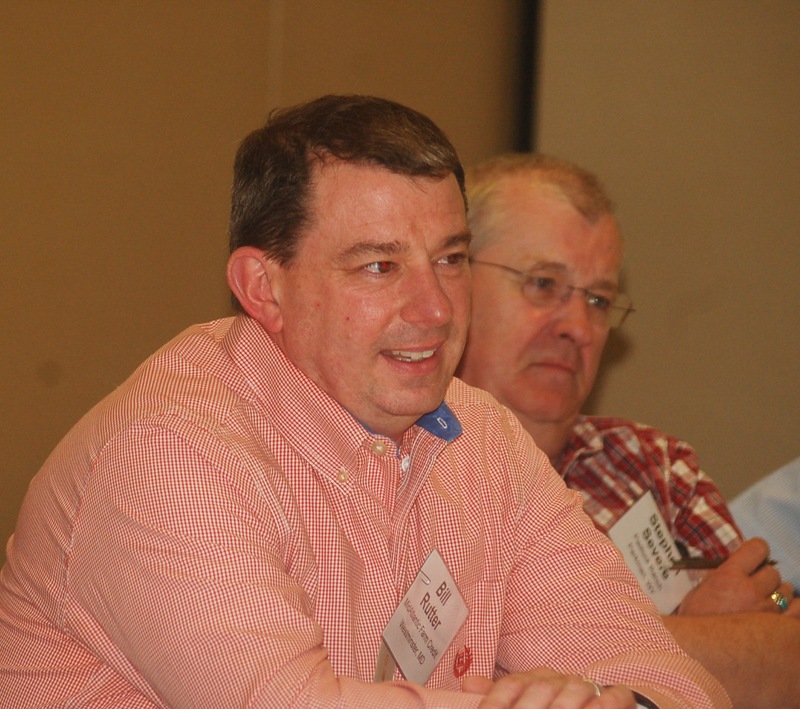 Cash basis income tax returns are not indicative of farm profitability,” Miller stresses. Tidbits and news for the officers, committee chairs, members of the board of directors, and the general membership of the Farm Financial Standards Council. happily send you a replacement. Been in the News Lately? A Torch has been Passed. oping a membership program and for being a constant driver in making it successful. And good luck with the deer hunting!! Gonna Be Near Milwaukee or Cedar Rapids? year so the current document will remain in use for 2018. Hilton Garden Inn, Champaign, IL, July 25 – 27, 2018. Todd Doehring is in charge and has been working on the program for some time.